Want to eat healthier but feel like you’re missing out on your favorite foods? Check out our tips for 5 Healthier Ways To Indulge Your Cravings. I’ve loved food ever since I can remember. I’ve always been the type that loves trying new foods and dishes, loves cooking, and often thinks about what I want for my next meal. If you have a similar personality towards food you probably already know that it doesn’t exactly set you up for healthy eating habits. As I get older I’ve definitely been struggling along that fine line of wanting to eat healthier but also being able to indulge in my favorite foods and cravings. That’s why I’m sharing 5 healthier ways to indulge your cravings today. In the past, I’d have no problem wanting to nibble on slices of cake piled high with frosting or opening up my favorite bag of cookies most nights of the week. Or have a cinnamon roll or coffee cake for breakfast. I worked hard so I deserved to treat myself, right? However, I knew all that sugar and carbs with very little fiber wasn’t quite so healthy for me. One new food staple in my life that has helped me really cut down on how many sweets I eat are VitaTops. They allow me to indulge in some of my favorite sweet treat favorites while being able to feel good about eating healthier. 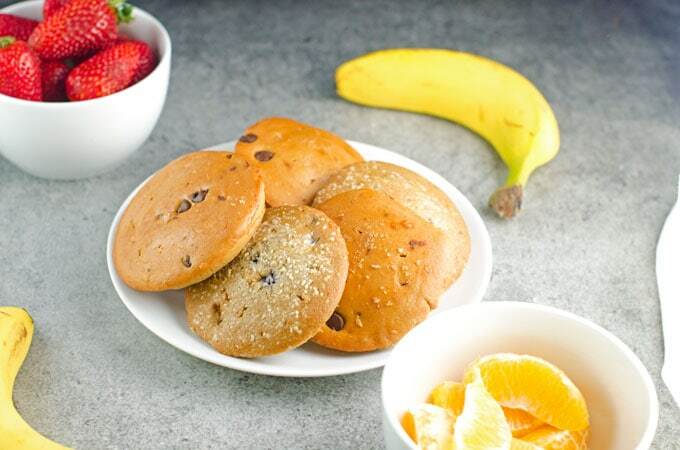 Check out all the indulgent flavors of VitaTops here. 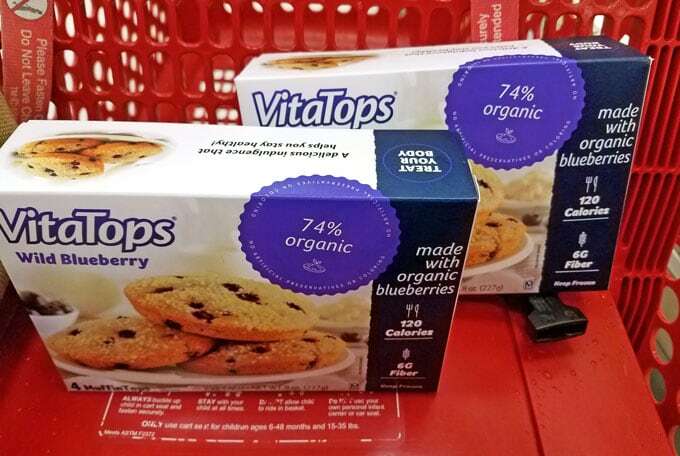 I found my VitaTops Wild Blueberry and Banana Chocolate Chip MuffinTops at Kroger and Target! You can find yours at your nearest Publix, Kroger, Stop & Shop, Shop-Rite, or Target locations. 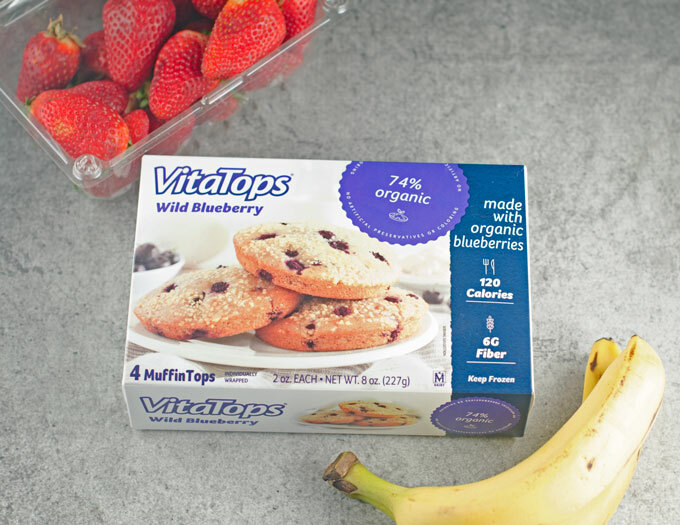 Find out where you can find VitaTops near you here. 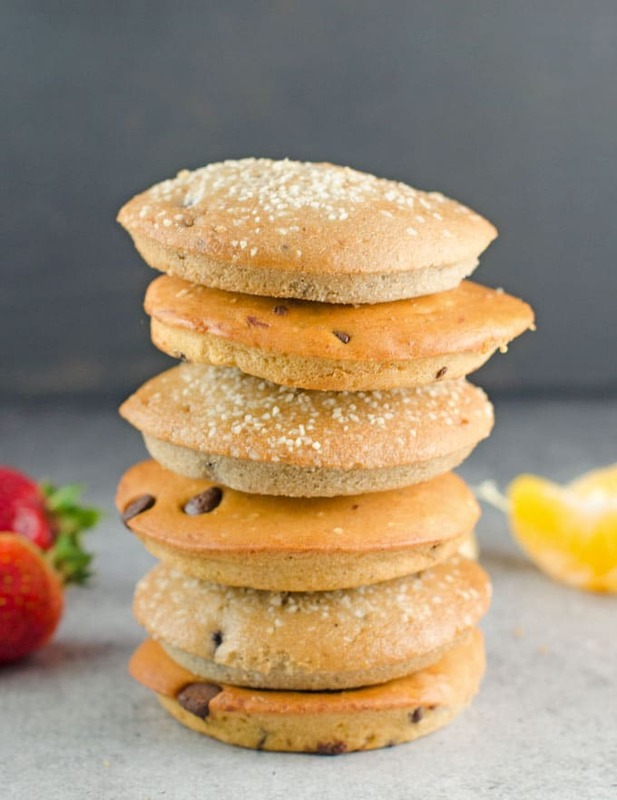 Here are some ways you can use VitaTops and other tips for healthier ways to indulge your cravings. 1. Buy or make individual snacks. While I have gradually taught myself to eat a healthier serving size I simply cannot be trusted to indulge from a multi-serving bag. So, even if it is a bit more expensive per serving, I buy individual snacks or put individual servings into food storage bags to grab. That’s one of many reasons I really like VitaTops – each one is its own serving. 2. Gradually lessen how many “extras” you add. Add a little less sugar to your coffee or tea. Do you really need huge smears of butter AND jam on your toast? All those extra calories really add up, especially when you’re indulging. But, if you gradually lower how many “extras” you add, the healthier you can indulge. For example, when I used to make a gallon of sweet tea I’d usually add about a cup and a half of sugar. Now I only add just under a cup and it’s still plenty sweet to me. 3. Find healthier alternatives for your usual favorites. Love salty snacks? Give roasted and salted nuts or seeds a try. Craving a soda? Sparkling water with citrus can be surprisingly satisfying. One of my favorite indulgences is a slice of cake or a muffin so this is again why I have Vitatops in my freezer. Paired with some berries or other fruit they even make a pretty indulgent, yet healthy breakfast. 4. Choose options that help you feel fuller longer. I’m more likely to overindulge when I’m hungry. So it’s very important for me to indulge in things that help me feel fuller longer. As such, I try to choose things with high fiber and protein. Yogurt, fresh fruit and berries, and VitaTops are my usual go-to’s. 5. Be prepared for when you don’t have time to cook. Another time I fall off the healthy indulgence wagon is when I’m in a rush. That’s why it’s very important to me to be prepared with healthier indulgences ready to go. Some of my favorites include single serving cups of yogurt, bite-sized pieces of chocolate, already cut up veggies and fruits, and, of course, VitaTops. 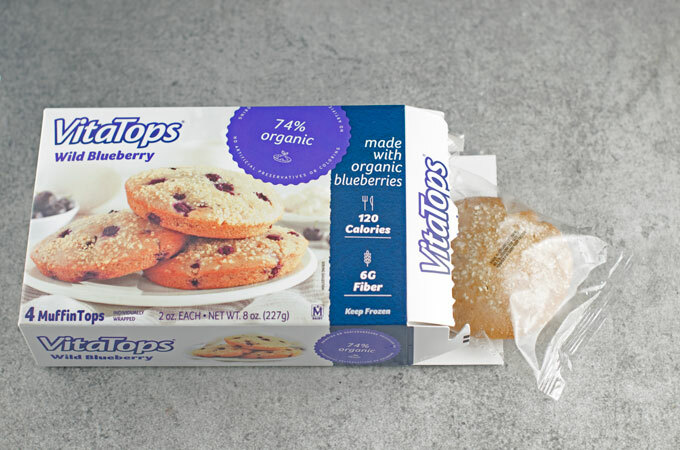 I really like that I can take a VitaTop out of the freezer and stick it in my purse since they are individually wrapped to enjoy later. What are some ways you indulge your cravings while staying healthy?